No. 14 CSUN dominated No. 12 Hawai’i for the second night in a row, taking the match 3-1 after the Matadors’ offense managed to out hit the Warriors for the second consecutive night. Freshman opposite Julius Hoefer led all Matadors with 19 kills on .300 hitting while sophomore outside hitter Brandon Lebrock added 15 kills on 38 swings. Northridge’s (10-13, 6-10 MPSF) offense helped claim its second win in as many nights over the visiting Warriors (7-16, 4-14) by jumping all over the Hawai’i defense early. 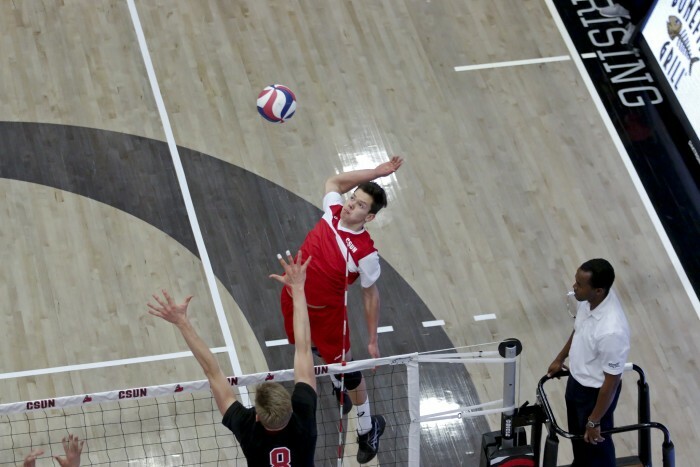 CSUN easily took the first two sets before dropping the third and ending the night in a thrilling fourth. CSUN came out in the first set and quickly jumped ahead by three before Hawai’i could get on the board. Both teams exchanged points and leads, but a small push by the Matadors put them ahead by four after the Warriors defense struggled to receive a few Northridge serves. Hawai’i’s offense tried to even up the match, but Northridge managed to hold on to its slim lead with a balanced offense highlighted by Hoefer and Lebrock, who had five and four kills in the frame, respectively. A kill from middle blocker Jared Moore and a Warriors’ hitting error extended the Northridge lead late in the frame and put the Matadors up 23-19, but a pair of Hawai’i points forced a CSUN timeout. Hawai’i tacked on another point out of the break, but a serving error and a hitting error from Taylor Averill for the Warriors gave Northridge the opening set 25-22. Northridge hit .320 in the set while Hawai’i only managed a .214 percentage. Both teams played even early on in the second set, but CSUN opened up a five-point lead after the referees made a net call on Hawai’i and outside hitter Steven Hunt committed a hitting error forcing them into a timeout. The Matadors took advantage of the break and instantly extended its lead to eight on a Kyle Stevenson solo block. Hawai’i called another timeout and answered back with the next point and Hunt followed with a service ace. Northridge’s Rodrick wasn’t about to let the Matadors lose their lead and helped the defense slow the Warriors’ attack. The 5-foot-11 setter notched a pair of block assists in the latter half of the frame while Hawai’i struggled to side out during Rodrick’s service time. The referees were forced into a difficult call after a CSUN bump ended up in the Matadome’s rafters. Much to the chagrin of the Hawai’i fans in the crowd, the officials decided to reward the Warriors the point and extending the frame, only to end the next play off a Hoefer kill that gave the Matadors the set 25-18. 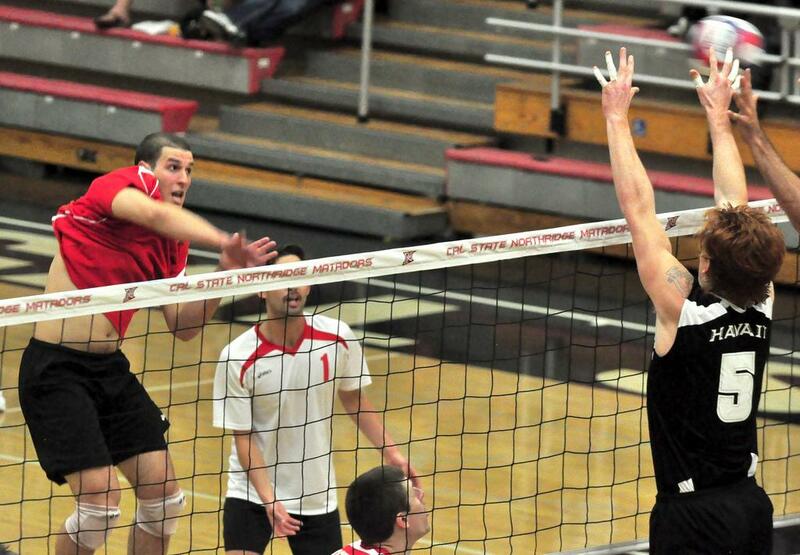 Although CSUN only hit .250 in the set, the Warriors’ -.087 hitting percentage put them into a 2-0 hole. Hawai’i took its first lead of the match on a pair of aces by the Warriors’ Hunt to start the third set. CSUN couldn’t find a way to side out early and a pair of service errors by Northridge kept it behind and forced a timeout. The Matadors mounted a comeback out of the break and scored five straight points evening the score at nine apiece, but the Warriors quickly built their lead back to three. 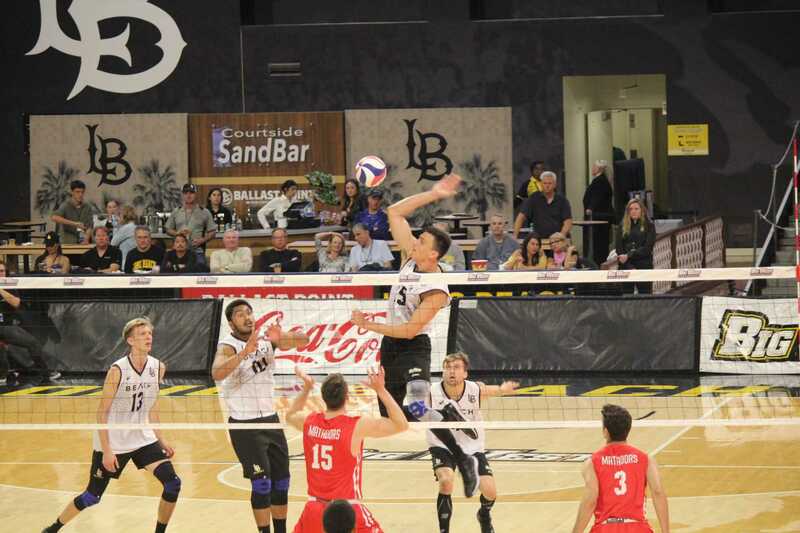 Northridge continued to struggle on defense while Hawai’i outside hitters continued to tee-off. Lebrock helped CSUN get out of its offensive slump with two timely kills and taking back the lead, 19-18, with an ace down the right side of the court. Hawai’i again found its way back in front and held on long enough to take the third set 25-23. 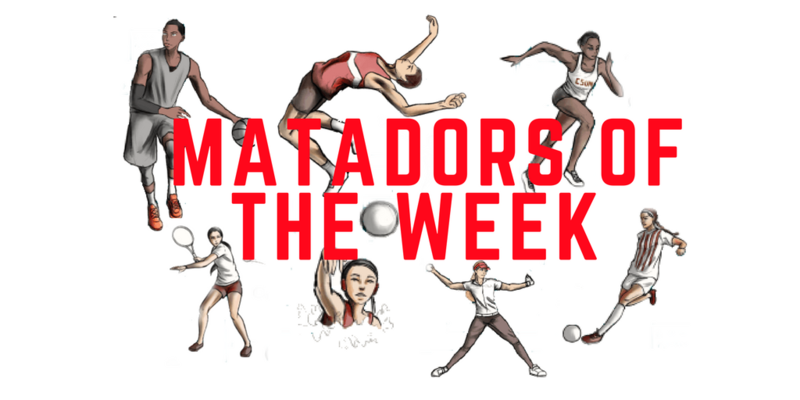 Both teams hit an even .296 in the frame, but CSUN’s five receiving errors cost the Matadors. CSUN exchanged points with the Warriors throughout most of the first half of the fourth, but Hunt powered Hawai’i into the lead with five kills in the frame. Hoefer was quiet early, but redshirt freshman Stevenson put up five kills in the frame, for a career-high nine kills on the night, and also added three crucial block assists down the stretch. 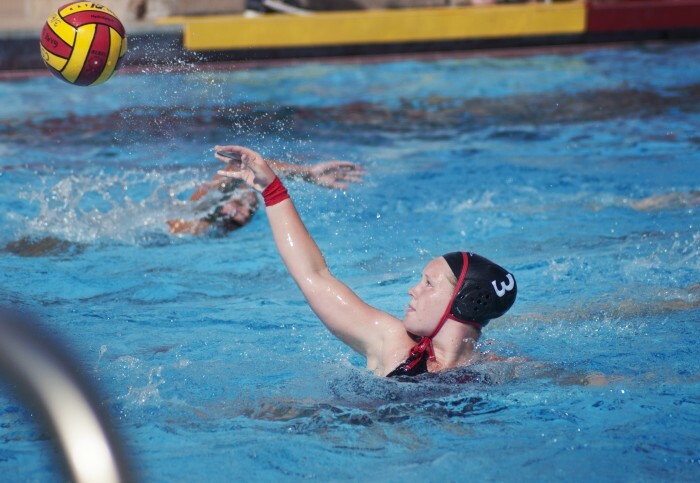 CSUN finally saw some signs of life by Hoefer and extended its lead to 20-17 on an uncontested spike between Warriors’ backline. After Hawai’i drew within one, Campbell called a timeout that started a 5-1 run by the Matadors to end the game. Northridge hit .292 on the night compared to the Warriors’ .155 and put itself in great playoff position heading into the final six games of the season.